Thanks in advance for any help. I bought a used 5.0 from a guy. The plan is to stick it in my 73 Mustang. He said it came from a 1990 GT. It looked the part, with H.O. badging on the intake. However, looking up the codes I'm not sure. The internet has me confused. 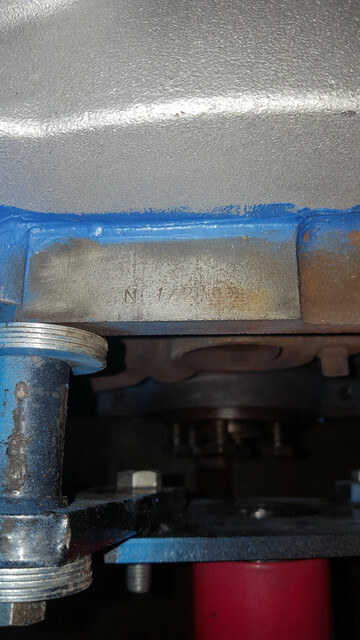 The flat area on the top back of the block is "N 1421"
The 4 digit cast on the bottom of the block is "2B26"
The internet says there should be a longer casting number near where the starter goes, but there isn't. Just a stamped circle with 5 little lines. Can any one help me out here trying to figure out exactly what this is? Well I know nothing ............but I do know that in 1982 the 5.0 is a non roller and IF it was in a 1990 it would be a roller motor. Seing the date code Feb 26th of WHAT ? (82/92) then you can confirm by the tap in the valley for roller lifter bars. Having said that .....the only way it would be in a 1990 would be if installed by an owner. Don't know what you want to do/are confused about. 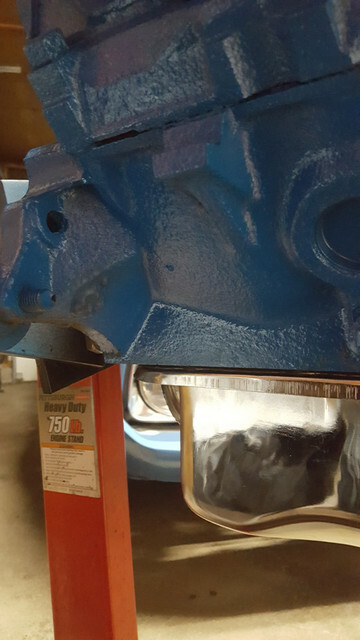 If it is imbalance that is straight forward , your 1970 car is 28.2 LATTER motors at 50. If it is trying to use 70 parts, well items like pulleys (3 holes vs 4) or lack of boss for fuel pump/TIMING pointer location will give you a run for your money. Thank you. I was just a little curious about it because it was supposed to be a 1990 but the N code I thought meant 1992. 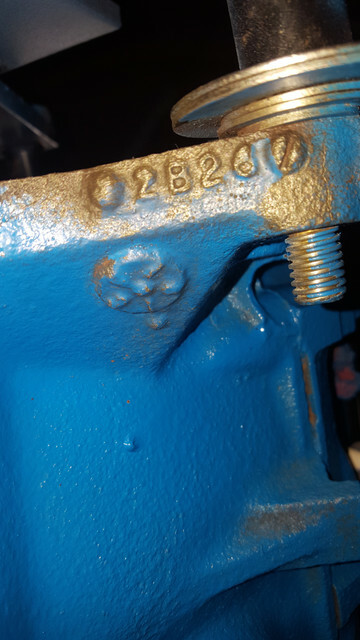 And the internet kept saying there should of been a stamped code near the starter which there isn't.